This Sunday, June 21, the Houston Zoo will celebrate World Giraffe Day from 9:00 a.m. to 3:00 p.m. near the giraffe barn. Festivities will include crafts, opportunities to meet the giraffe keepers, a special giraffe-themed photo booth, the chance to purchase giraffe paintings, and more. This is the second annual celebration of World Giraffe Day. The mission of the day is to spread awareness of the declining population and lack of research on giraffes in the wild. Giraffe populations in the wild have declined 40% within the last 15 years and are no longer found in seven countries. 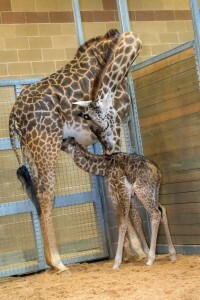 World Giraffe Day is celebrated at zoos around the world, including the Houston Zoo. 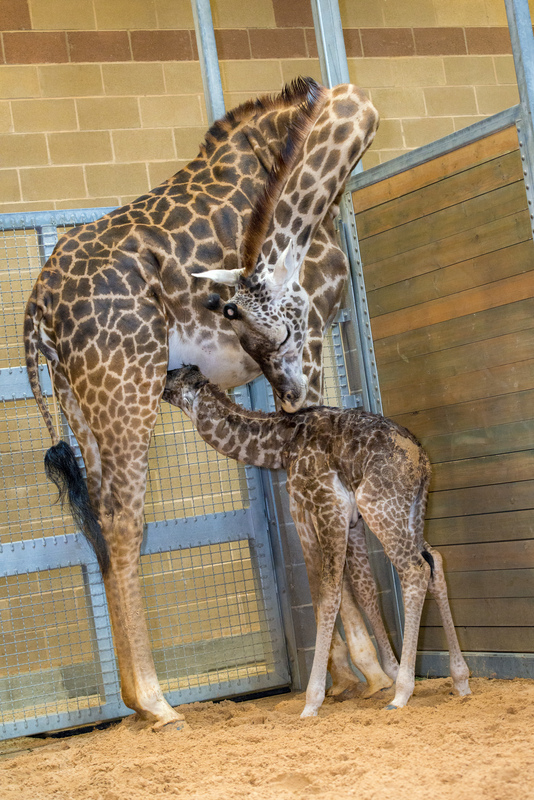 This year’s World Giraffe Day events will include children’s crafts, a touch-table, giraffe-themed photo booth, giraffe keeper chats, and giraffe paintings and merchandise for sale. All donations collected will go to support the Giraffe Conservation Foundation. Since this event also falls on Father’s Day, the giraffe team will also highlight the herd’s proud papa, Mtembei. The eight-year-old bull Masai giraffe is father to the zoo’s three youngest giraffes; Ghubari (3 years old), Baridi (1), and Kamili (10 months). Mtembei stands out from the herd with his dark coloration and is a frequent participant in the daily giraffe feeding events.